◎When blocking or alpha-blocking, this Digimon's Speed increases by 8. 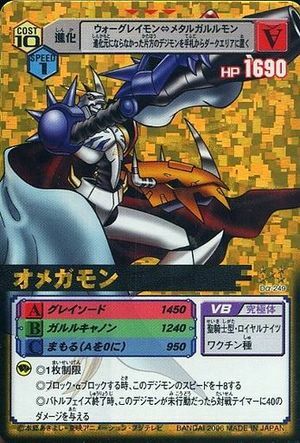 ◎At the end of the battle phase, if this Digimon is still untapped, deal 40 damage to the opponent Tamer. This page was last modified on 27 August 2016, at 03:35.